Open Data Party (ODP) is a quarterly event initiated by Connected Development (CODE), meant to expose experts from different fields to gain hands-on experience on the use of data to make an informed decision. The last ODP took place in Kano on November 22 – 23, 3016 and I was part of the team to make things run smoothly. 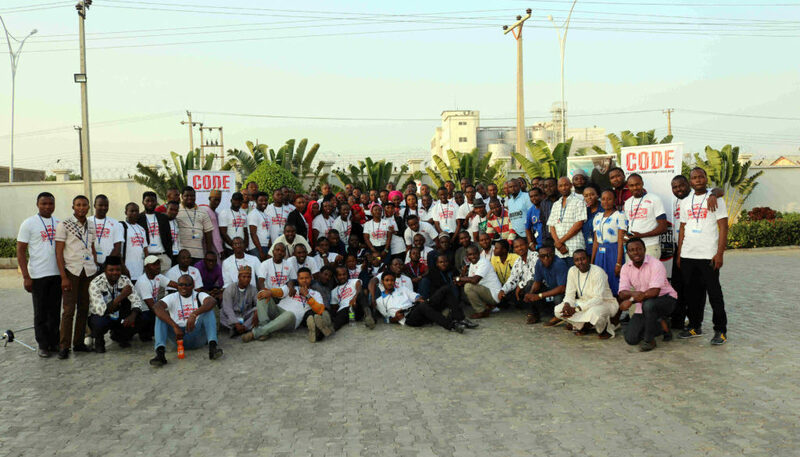 “Don’t you think someone from CODE needs to be in Kano ahead of time to monitor the situations before the core team and other out-of-town participants starts arriving”, asked Oludotun Babayemi – I will go, that was my reply to him and he asked me more than 3 times if I meant my answer considering the fact that I just arrived from the United States of America (USA) 3 days earlier from an assignment to observe the USA general election in Colorado. I packed my bag on 20th of Nov which was a Sunday and head straight to Kano, my arrival was at night, I lodged in a hotel and reflecting on how to start the next day which is the eve of the event. The week from 20th to 25th was a busy week for all of us at CODE as we are also having NASS event that same week and we have to split ourselves to grace all the event, also our finance officer fell ill as she was on drug throughout the week, and I was left with some of her functions while also planning the event. Monday 21st came so fast than I had expected, I rushed out of bed and went straight to freshen up before moving to eHealth Africa (EHA) Office in the ancient city of Kano where the event was slated to hold, I worked all day planning and strategizing with the EHA staffs (energetic people like Ayodele and Olajumoke) on logistics and accommodations before the participants will arrive in Kano. The first day of the event graced the most important session of the event with versatile facilitators from EHA and outside. I was more captivated by the session on mobile data collection by Nonso of Reboot as it does not just discuss data collection but design processes and thinking is a whole fraction of his session. I cannot believe I took the class twice. “We are all designers” said Nonso at the beginning of his session, every participant was quizzed including myself at the beginning of the session but I got to learn more by the time he explained what he meant. One way or the other, we all design our way to wherever we find ourselves, coming to Kano on 20th instead of rushing to come on 21st is a design well thought of by the team back in Abuja and it paid us in full by the end of the event. The agenda for both days of the events is well thought of and it was one of the most efficient designs as both the participants and the facilitators are put into considerations which made the event a lot of successes with a turnout of more than 100 participants in both the 1st and the 2nd day of the event. I end up connecting with more people and getting to meet physically with the community reporters whom we have always been meeting only but online. “Are you Tunde, you mean you are Sharru Nada?” those are the questions I was asked the most of them. The event ended with a mapping session by the EHA GIS department guys as we are all walked through mapping of Chibok in Borno State (I cannot believe we just mapped Chibok). I also facilitated a session on our new platform which we aim to use as a medium to reach out to more people to follow the money together. Though the platform is still in its infancy stage, the growth has been exponential since it was launched and our team is working more on using the platform to domesticate our follow the money project in the whole country with a vision to expand to other African countries. The ODP16 is gone but the knowledge gain and the connections made are far expanding by the day, I cannot wait for the next 2017 version of it as I look forward to learning more as the year goes on. With projects like School of Data Radio and ODP, I believe the challenges that follow #OpenData which is usability can be solved to some extent if organizations like CODE, EHA can work more on reaching out to more prospective data users and other organizations who are still sitting on the fence can leverage on the success of the event and build more capacity around data knowledge.